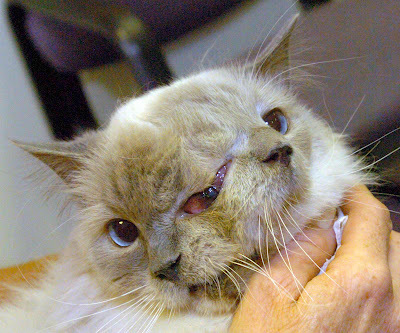 Sadly, Frank and Louie, the two-faced cat of Worcester, Massachusetts, U.S., passed on Thursday. Living longer than any other Janus cat on record, Frank and Louie reached the incredible age of 15. While reeling from the unexpected death of the cat she raised from a kitten, owner Marty Stevens admits, "I would love to do it again."